August 20, 2016 Washington Post, Here's the best reason of all to drink organic wine: It tastes better. May 2, 2014 Forbes, Is Sustainable Winemaking The Wave Of The Future? February 6, 2014 Huffington Post, Without Water, Will there be Wine in California? February 18, 2011 NorthBay Biz Profitable Green: Is it still possible for businesses to be both profitable and green? May 28, 2009 The following letter was sent to the National Geographic Editor in response to the May 2009 article on the "Toll of Wine." August 27, 2008 San Francisco Chronicle, "Winemakers cultivate earth-friendly practices, from ground to glass"
June 2, 2008 Wines and Vines, "Sustainability Goes to Market: Two new tools lead consumers and merchants to greener wines"
April 18, 2008 San Francisco Chronicle, "Bugging out: Beyond pesticides - vintners who see insects as vineyard helpers"
December 11, 2007 Wines & Vines, "Sonoma Growers Appeal to Regulators"
October 10, 2007 Wines and Vines, "Industry Group Wins Federal Grants"
May 15, 2007 Wine Business Monthly, "A Case Study in Sustainable Wine Production"
April 1, 2007 Practical Winery and Vineyard, "Improving Air Quality"
February 1, 2007 Practical Winery and Vineyard, "2006 Progress Report"
The following letter was sent to the National Geographic Editor in response to the May 2009 article on the "Toll of Wine." I am writing in response to the menacing title and erroneous graphic portraying the "Toll of Wine" in the May 2009 issue of National Geographic. This graphic depicts the carbon intensity of shipping wine from various global wine regions to key U.S. cities and bases its data on a seriously flawed, two-year-old working paper that is filled with untested assumptions, has not been peer reviewed, and does not accurately reflect the complexities of greenhouse gas emissions in the wine sector. Research on a science-based Life Cycle Analysis for wine is underway but this graphic, as well as the paper on which it is based, misleads consumers into believing that foreign imports are somehow more environmentally-friendly than California wines. This distortion of fact is particularly unfortunate given the ground-breaking work by California wineries and vineyards to tackle the issue of GHG emissions by working to improve air quality and energy efficiency, along with other sustainable winegrowing practices from ground to bottle, through the California Sustainable Winegrowing Program (https://www.sustainablewinegrowing.org/). This statewide program guides California''s wineries and winegrape growers to adopt an integrated system for their operations based on tested "best practices" in alternative energy, packaging, transportation, production and farming practices to reduce greenhouse gas (GHG) footprints in the state with the most stringent environmental laws in the country. 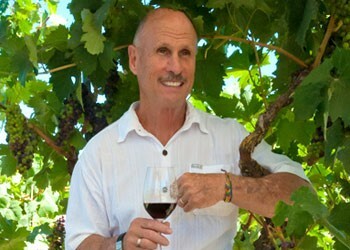 California vintners and growers are taking their carbon footprint seriously and have partnered with the international wine community to create an International Greenhouse Gas Protocol and Accounting Tool (www.wineinstitute.org/ghgprotocol). In addition, we are working with scientists to better understand the carbon balance of wineries and vineyards, including how vines, soil and broader vineyard ecosystems may benefit the environment by sequestering carbon. For instance, we worked with leading agriculture and climate scientists at UC Davis on a comprehensive review of state of the science in 2008 (visit https://www.sustainablewinegrowing.org/publications.php). We''re confident that U.S. consumers can add "environmental track record" to many other reasons for choosing California wines, including quality, diversity, value, and significant contributions to local, state, and federal economies through jobs, taxes, charitable donations and tourism.